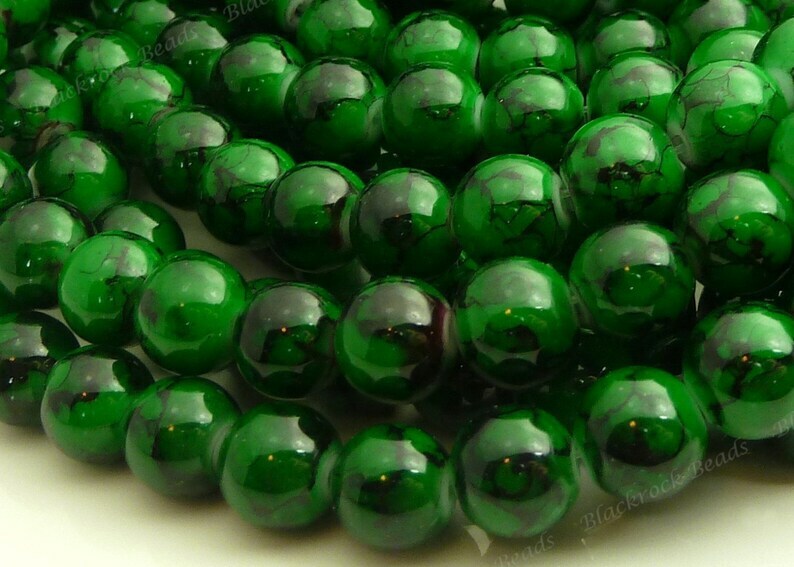 Round glass beads in Dark Green with stripes and swirls of black. 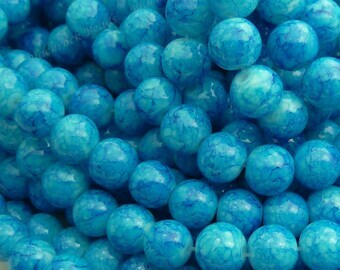 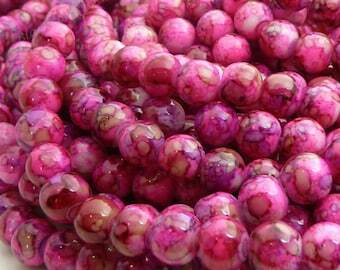 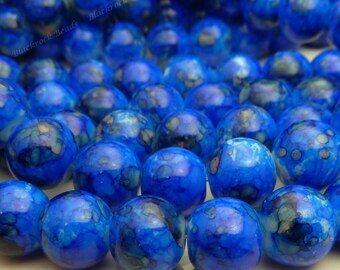 These are 8mm opaque beads with a smooth, shiny finish. 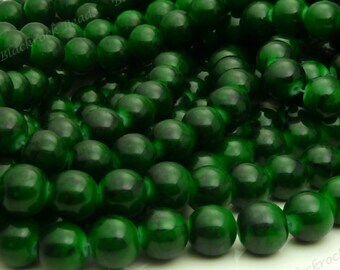 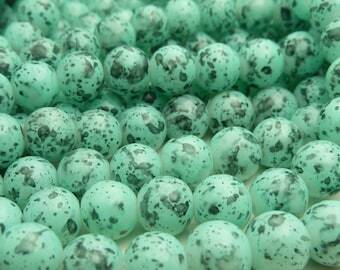 They have about 1mm bead holes and you will receive 25 pieces with this purchase.